Florida Worker's Compensation quotes and insurance alternatives. Florida Employee Leasing PEO Pay As You Go Programs For Contractors! Our Employee Leasing Program is based on a Professional Employer Organization (PEO) model that develops a “co-employment” relationship. Your business holds the reigns over day to day business matters and you will have complete access to TPM’s specialized expertise in handling employee administration. This frees your business to concentrate solely on the profitable aspects of the business while TPM works to provide a sound foundation for your business to grow upon. Certificates of insurance are required to do business in most states. The certificates provide verification of Workers’ Compensation Insurance in order to engage in business. This protects your business in the event of an on-the-job accident or injury. These certificates are provided free of charge and are provided normally within one business day. 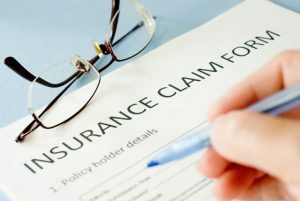 Claims management and processing involves reporting, administering, medically managing, and closing Arizona Worker’s Compensation claims. This includes ensuring that consistent internal policies and medical referral procedures are in place. Also, the implementation of a return-to-work program is critical to provide employees with an opportunity to begin working on a modified schedule until they can return to their regular jobs. You will have access to TPM’s risk specialists to assist in managing your Arizona Worker’s Compensation claims. TPM handles all the paperwork required to properly document claims. You will benefit from our years of experience managing Arizona Worker’s Compensation claims and will experience lower related costs through effective claims management and processing. We help you minimize employee risks, improve safety awareness, and reduce your Arizona Worker’s Compensation Insurance rates. TPM allows you freedom to concentrate on generating business. This freedom empowers you to work on more profit oriented tasks. TPM uses a cutting-edge process to calculate Arizona Worker’s Compensation and Liability Insurance that includes job classifications, claims records and other factors, calculating them with each payroll. The program is 1-2-3 simple. There are no surprises and you won’t have any audit or large lump sum payments either up-front or at the end of the year! The Pay-As-You-Go Program eliminates those large up-front deposits, “best guess” premiums, hassle-filled audits and the dreaded year-end payments. TPM will manage the calculation and payment of premiums for your Arizona Worker’s Compensation and General Liability responsibilities in a bundled payroll program. Premiums are calculated and deducted from each payroll, just like payroll taxes based upon actual payroll. Our cutting edge system provides custom solutions for each state and classification code. 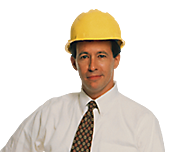 We bundle both your Arizona Worker’s Compensation and optional Liability Insurance needs into this program. We can prepare a custom quote for your company. Get a Quote Today! We can turn your Florida Worker's Compensation and Liability Insurance clients into a productive book of business for you. TPM works on a win/win philosophy with all of our clients and partners.